Sophomore Richard Valdez rocks out at Woodlawn Theatre. A constant battle is going on inside student-musicians’ heads. Between the lines of the music staff, students must choose between their creative identity and more than a 400-year history of music theory, all while keeping up in all of their classes. But these musically gifted students have used the music instruction they’ve received at Palo Alto College as a way to enhance their own creativity. Guitarist and Sophomore Music Major Steven Henry Serrato sees music theory not as a set of stern rules, but more as guidelines. Not only do student-musicians battle theory and structure, but also time that they spend on their musical interest and time for other priorities, like time with families and friends and time at their jobs. Serrato, who is also a drummer, vocalist, tuba player, clarinetist, bassist and trombonist, recorded all instruments for Melancholia, his progressive-metal band’s EP “Cardinal.” With the amount time he spends on his band and his classes for his Music degree, 80 percent of Serrato’s week is eaten up by music-related activities. Bassist and Sophomore Music Major Davi Luna, like Serrato, is a leader for his own band, the punk rock-influenced Project Ambush. 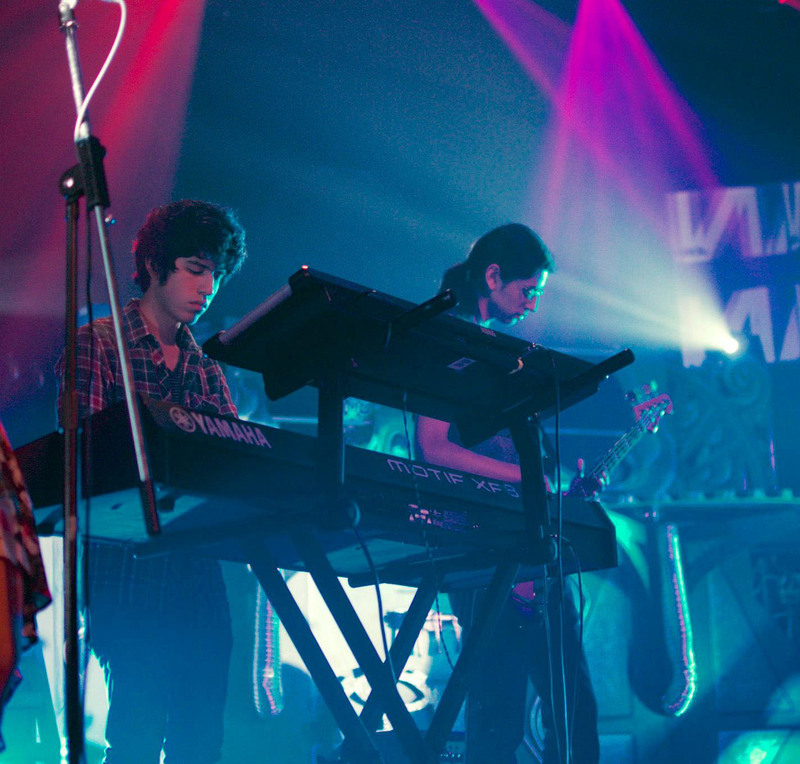 Luna shared music writing duties with his friends and bandmates for their untitled EP, as well as promoting the band’s music, which was not always easy to get people to listen, even through social media websites, like Soundcloud and Facebook. Luna’s dissatisfaction in the San Antonio music scene is based on the sharp contrast he experienced by playing shows in St. Louis. Pre-Project Ambush, Luna attended the University of Illinois as a Psychology major with the help of tennis scholarships. He and a friend would go to St. Louis and play a variety of genres at open mic nights in front of attentive audiences of diverse tastes. When Luna changed his major and came back home to Somerset to follow his music aspirations, he returned to a part of town whose live music interests rest in the hands of Tejano bands. San Antonian musicians leave the town for cities that have more opportunities to play shows. Sophomore Psychology major Richard Valdez traveled with his band, The Sarah Centeno Band, to West Virginia this past summer for the Boy Scouts of America Jamboree, where he opened for 3 Doors Down at the week-long event that 50,000 people attended. Valdez splits time with Sarah Centeno, SA Lights Journey Tribute, an unnamed trio project, and a full-time schedule at school this semester. Though Valdez is not a Music major, he has taken classes at PAC under the direction of the music department’s lead instructor, Dr. Armin Marmolejo, who can’t stress enough the importance of a good musical education and plenty of practice time for young musicians. Marmolejo knows where a strong understanding of music theory can get you, as he played with well-known acts like Frank Sinatra and Ray Charles. Marmolejo is not the only Music instructor with an incredible list of sweet gigs. James Fort has played with the Blues Brothers; Juan B. Ortiz has played at the White House and has won two Grammy Awards for his work as violinist in the Tejano band Little Joe y La Familia; accordionist Eva Ybarra has played at the Kennedy Center in Washington, D.C.; and Juan Tejeda received the 2012 Cindi Lazzari Artist Advocate Award at the Austin Music Awards for his work with the Guadalupe Cultural Arts Center. All of these instructors have the full attention of their students. Though these student-musicians have to police their time and make a conscience effort to motivate themselves, the impact these Music instructors have on them is unquestionable.